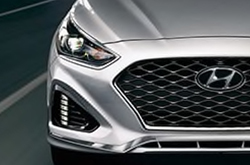 Hyundai is the brand of choice for many vehicle owners and with good reason. 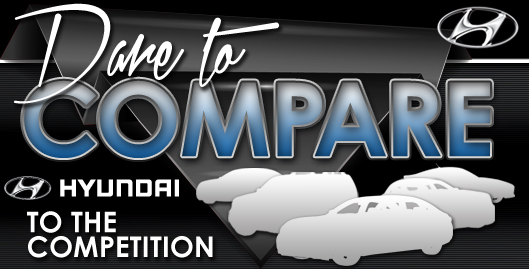 Given the excellent quality, performance, and the attention to maintenance offered through the company, it's no wonder that the Sonata and other models offered under the Hyundai brand remain on the road for years after rolling off the assembly line. 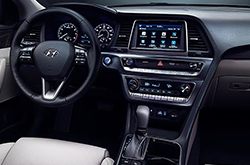 If you're thinking about buying a new car, here's what you can expect from the 2019 Hyundai Sonata. Hyundai elected to not make many changes this year. The great styling and features of the 2018 model are still present. What has changed is that those features are refined in terms of performance and appearance. Think of this year's model as offering all of the perks you enjoyed in previous years, only a little better. As with the 2018 Sonata, Hyundai will again be offering multiple trims for buyers to consider: the SE, the Eco, the SEL, the Sport +, the Limited, and the Limited 2.0T+. The MSRP range starts at $22,300 for the SE and go through $31,900 for the Limited 2.0T+. Inline 4-cylinder engines are included with all trims. The Eco and the Limited 2.0T+ come with Inline 4-cylinder twin-scroll Turbos. The displacement varies on all trims from 1.6 to 2.4 liters. Standard gasoline direct injection is the fuel system used with each engine. A front wheel drive is standard on all Sonatas. A 6-speed automatic transmission with SHIFTRONIC® is standard with all but the Eco and the Limited 2.0T+. The Eco offers a 7-speed EcoShift® Dual Clutch Transmission (DCT) with SHIFTRONIC® while the Limited 2.0T+ comes with 8-speed automatic transmission with SHIFTRONIC®. Tech packages vary from one trim to the next. The SEL and Sport + packages include ABS with pedestrian detection, Lane Keep Assist (LKA), cruise control, and an electric parking brake with an automatic vehicle hold. The Limited includes all this plus Automatic High Beam Assist, a sport mesh grille and front fascia, heated steering wheel, and a wireless phone charger. You can also opt for an Ultimate package on both Limited trims that include all the features listed above plus: a sunroof, rear parking sensors, sunshades for the rear side windows, an Infinity® Premium audio system, traffic and travel packages, and even a guidance package for use locally and while taking road trips. Most Sonatas for 2019 offer 185 hp @ 6000 RPM. The exception is the Limited 2.0T+ which offers 245 hp @ 6000 RPM. In terms of torque, 178 lb-ft @ 4000 is the standard for most designs. The Eco provides 195 lb-ft @ 1500-4500 RPM, while the Limited 2.0T+ has 260 lb-ft @ 1350-4000 RPM. Rear view cameras are standard on all trims, along with blind spot detectors and traffic alerts and lane change assistance. A VSM system is also found on all designs. Traction control, electronic stability, ABS, tire pressure monitoring, front seat airbags, side bags for the front seats, a knee airbag for the driver, sturdy seat-belt systems are also found on all designs. Lock out buttons for the windows as well ad remote keyless entry are also included with all models. Other features are considered optional or found only on the Limited 2.0T+. The only way to truly appreciate the 2019 Hyundai is to see it in person. Contact us today and arrange to drop by for a test drive. Our staff will be happy to answer any questions about the engine, features, and safety technology found on the new models. Take one for a test drive and you will be convinced that this is the vehicle you need for the coming year.